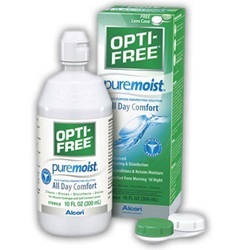 Opti-Free Puremoist Contact Lens Solution, 10 oz. 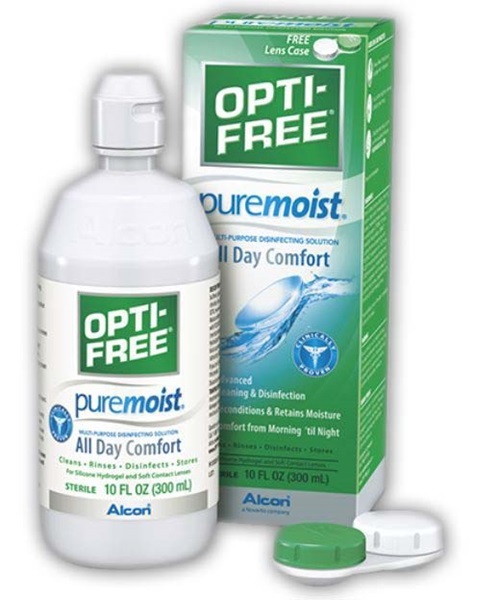 Sterile Opti-Free Pure Moist multi-purpose contact lens solution in 10 oz. bottle. Polyquad and Aldox get rid of microorganisms that can cause eye infections. HydraGlyde moisture provides all day comfort. NDC: 00065-0361-04. Manufactured by Alcon. Comes as singles.